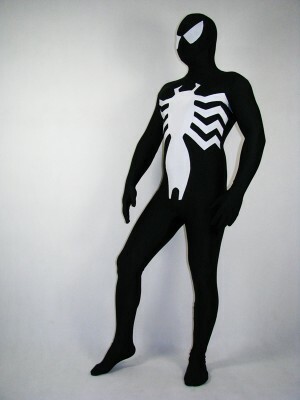 The Costume of Eddie Brock who is The first Venom In The Amazing Spider-Man. 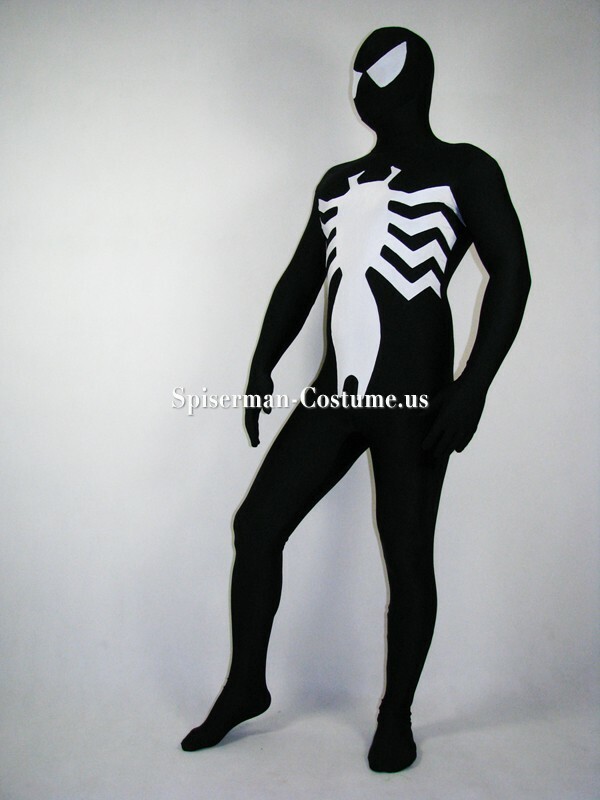 Lycra spandex spiderman,the full body spandex spiderman costume with a big spider on the front. only the eyes and the spider are white other part all are black. the white eyes can see out a little,but if you want to see more clear,the corespun will be a good choice. this spider is more longer than others,the spider is almost to the leg .only the front has the spider,but if you need we can add for you on the back.it will need extra cost.